"A lyrical novel about grief, love, and finding oneself in the wake of a tragic loss." --Bustle "Grabs your heart and won't let go." --Book Riot Three starred reviews for this stunning novel about a mixed race teen who struggles to find her way back to her love of music in the wake of her sister's death, from the author of the William C. Morris Award finalist Starfish. Rumi Seto spends a lot of time worrying she doesn't have the answers to everything. What to eat, where to go, whom to love. But there is one thing she is absolutely sure of--she wants to spend the rest of her life writing music with her younger sister, Lea. Then Lea dies in a car accident, and her mother sends her away to live with her aunt in Hawaii while she deals with her own grief. Now thousands of miles from home, Rumi struggles to navigate the loss of her sister, being abandoned by her mother, and the absence of music in her life. With the help of the "boys next door"--a teenage surfer named Kai, who smiles too much and doesn't take anything seriously, and an eighty-year-old named George Watanabe, who succumbed to his own grief years ago--Rumi attempts to find her way back to her music, to write the song she and Lea never had the chance to finish. 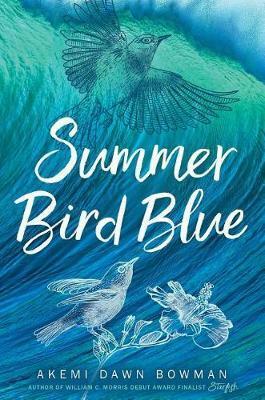 Aching, powerful, and unflinchingly honest, Summer Bird Blue explores big truths about insurmountable grief, unconditional love, and how to forgive even when it feels impossible.